WARNING: ROCK LEGEND IN THE MAKING!!!!! Every now and again you stumble upon a musical gem and in 2016 it is Idlewar. How come I have missed their previous EP? 'Dig In' in my opinion will quickly become a collector and if you manage to grab a physical copy I would recommend to get it signed. Now back to the current album with my new favourite trio... with Clutch, Led Zep and King’s X among the bands that have influenced them I am in awe of their musicianship, attitude and image. Recorded over two days there is an emergency for a first album which can only be matched in my eyes by Kill Em All From Metallica. It is a different register obviously but the intensity, integrity and intent is similar, even though our 3 boys have more maturity than the famous horsemen. No need for excess for Idlewar. The deliberate choice in having short song titles would almost indicate the need to focus on the essential only but don’t get me wrong, there is no short cut taken on this excellent LP. Criminal is very catchy and efficient, All I Got with its slow tempo is simply beautiful, even though I feel more time should have been given to James and his voice on the mix. James mentions Foo Fighters on the band’s website and there is a similar ability and talent in crafting great songs such as Burn All This and Apathy. Sound wise it is not too distant from Audioslave but Rick Graham and Pete Pagonis respectively guitar and drums form a genuine band with James.. and fair to say they are only at a stage where they are developing their sound together with Impulse. 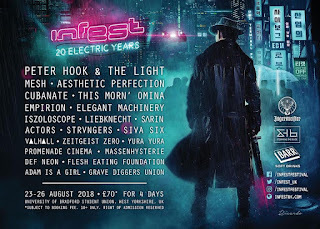 We won’t have the opportunity to see them in Ireland just yet as Idlewar are getting their teeth into the UK market where they will be touring soon (thanks to the indefectible support from radios there) but make no mistake I really think they are going to be massive. On Our Knee - the last track which concludes the album is as strong as the opening track Stone in My Heel with this inimitable hypnotic sound’s trademark. 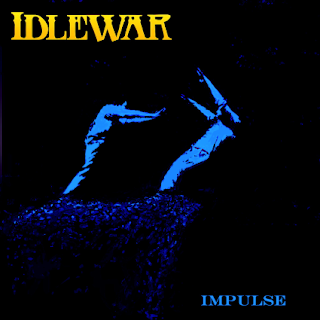 It’s sonic, it’s engaging, it’s punchy and groovy, it’s Idlewar. 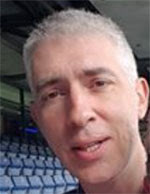 Live Test: Please come to Dublin!!! !